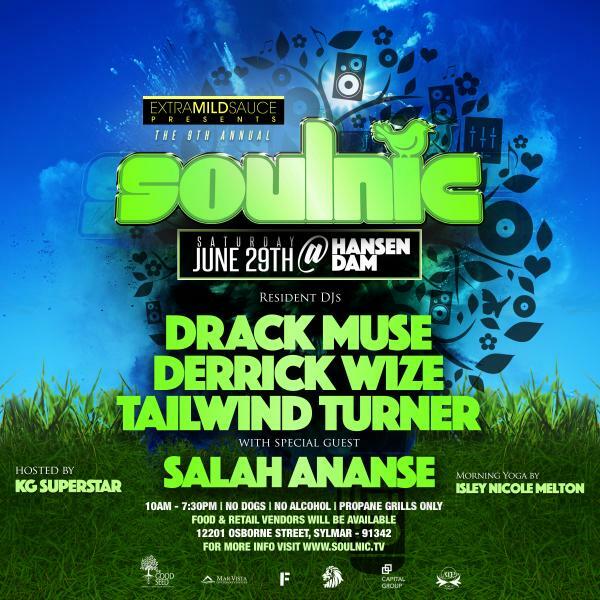 One of LA’s most anticipated events of the summer, SOULNIC, returns for our 9th Edition at Hansen Dam. This year, we welcome special guest Salah Ananse (ATL/House In The Park/Afrique Electrique) along with our residents Tailwind Turner, Derrick Wize and Drack Muse. Join us for another fun-filled day in the sun (and shade) starting with Yoga, plenty of games and of course some of the best Afro, Disco and Soulful House music that you’ll feel deep in your chest. It’s still family-friendly and FREE so mark your calendars, tell your friends and follow us on social media for the latest updates.